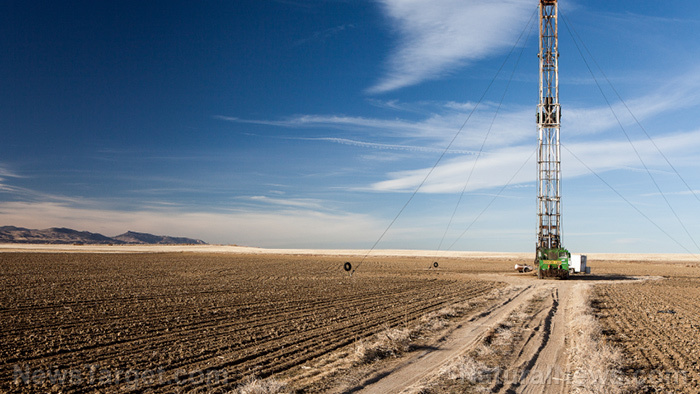 (Natural News) Hydraulic fracturing – more commonly known as fracking – may still be legal in many states across the U.S., but there’s no denying that it’s a highly controversial practice. In the state of Colorado, which has issued strict guidelines regarding disposal of waste water from fracking sites, has now ruled that the waste is far too dangerous and therefore cannot be disposed through the usual methods. This is according to a new report that details how operators have been wrongly reporting the levels of radioactivity found in landfills and land spreads, preventing the fact that they’ve exceeded guidelines from being known. The report, which was written by Dr. Wendell G. Bradley, a known expert on the subject, and released by the Center for Research on Globalization, goes over the dangers of the typical fracking operation before dishing out all of the information regarding the biggest problem of the practice: Finding a safe and proper way of disposing all of the resulting waste water. The report states that operators are currently dumping waste from Oil and Gas Exploration and Production (E&P) “at radiation levels highly in excess” of guidelines for technically enhanced, normally occurring radioactive materials (TENORM). For reference, the acceptable release levels for radium has to be below three picocuries per gram, and it is said that releases at levels higher than 210 picocuries per gram warrants official corrective action. But corrected measurements show that previously reported release levels have been flat out wrong and are in fact a thousand times higher than what is deemed acceptable. Indeed, data from a Gradient Corporation study shows that the release levels of radium in radioactive tank sludge was recorded to be at 1,293 picocuries per gram. As you can imagine, such a high level is clearly far above TENORM guidelines. With levels of radioactivity this high, the Colorado Department of Public Health and Environment (CDPHE) has found a great cause for concern. Although it has approved radioactive releases at commercial landfills in the past – along with the Colorado Oil and Gas Conservation Commission (COGCC) – the CDPHE has now determined that there’s simply too much danger to human health and alternative ways of disposing the waste materials have to be utilized. Dr. Bradley himself states that the new information really sheds new light on the matter. The harmful effects of fracking have been well-documented. It poses dangers to the environment, the water supply, and even nearby communities. In practice, it pollutes not just water but the air as well. And operations typically tend to produce toxic chemicals that have been shown to be carcinogenic and evidently endocrine-disrupting. As you can imagine, these can be extremely harmful to humans. But apart from all of that, fracking is also known to be harmful in other ways. Fracking regularly destroys communities by bringing property values down, increasing the crime rates, killing local tourism and hurting local agriculture. There are many reasons why some states have already banned it in practice, so instituting some sort of prohibition that limits it or at least prevents its hazardous waste materials from affecting the lives of individuals and communities can only be a good thing. Find out the latest on fracking by visiting Fracking.news.